Get health care coverage for 2019! 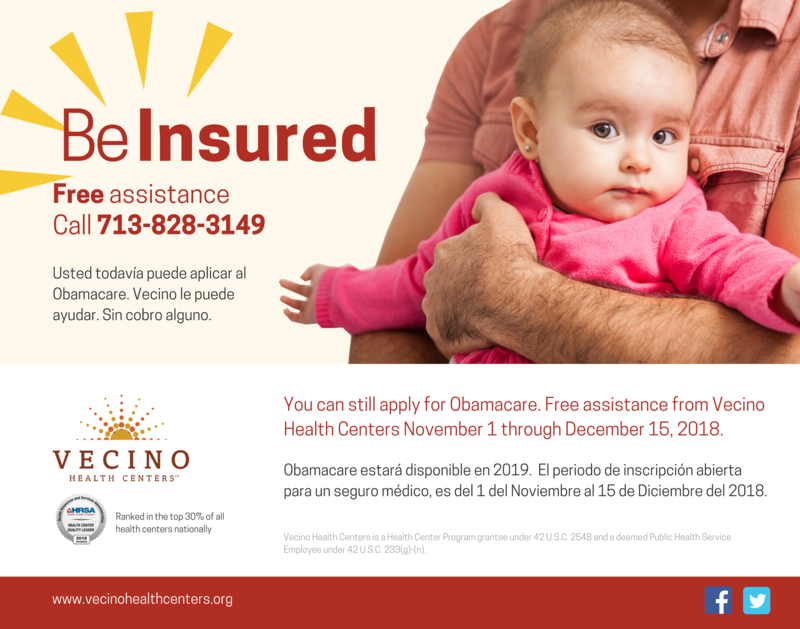 Vecino Health Centers will help you with the enrollment or renewal process. It’s free! See what plans are available for 2019 and which will be the best for you and your family. Call 713-828-3149 today to schedule a free appointment for assistance!